For someone who works full time, has a baby, a husband, a dog, studying for the CPA exam, and also run a blog part time, I rely on automation a lot. My desk used to be covered in post it notes full of blog post ideas that I sometimes would end up misplacing. One of the things I decided to do this year was try to automate as many processes as I possibly could to make my life slightly easier. I love my bando planner, however, I found a great addition to my handy planner, Coschedule! 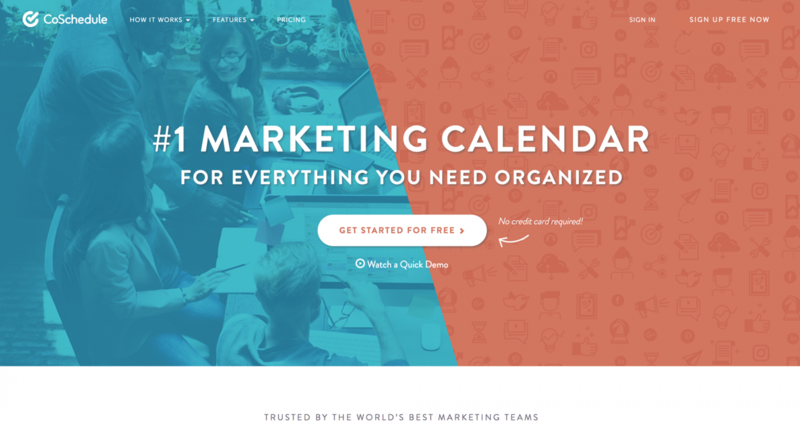 Coschedule is a very well thought out Editorial & Marketing Calendar that also integrates with WordPress, Social Media, Google Calendar, Analytics, Zapier and many other platforms. Since Coschedule links to WordPress, I can easily see my WordPress calendar with all my upcoming posts. I am a very visual person and this helps me see what content I have scheduled out. Another handy feature is the ability to drag and drop your posts from one scheduled date to another. As many of you know, sometimes brand either move up or push back time lines for sponsored posts. This usually causes a headache if I cannot visually see what I have coming up and if those changed dates cause any scheduling conflicts with other sponsored content. You also have the ability to schedule dozens of social media messages in bulk. I usually use this feature for Facebook, Twitter, and Instagram. I can have an idea of what content I need to push out during the week and have the drafts ready. Coschedule allows me to create a predefined social sharing plan so I can focus on creating content and not manually filling in my social media queues. Another great feature is the requeue social automation. This feature automatically reuses social media posts while also taking into account the best scheduling times on your social channels. Since I can link to my Mailchimp account through Coschedule, I create a newsletter task list each week and outline what I need to get done. I usually outline my newsletter content in Evernote, another platform that can be linked through Coschedule and then all I do is format my newsletter for Mailchimp when it is time to send it out. Coschedule has a ton of different options when it comes to how you set up your scheduled content (converting into bitly links, image vs. text post for Facebook, templates for social media), so you’re bound to find something that works for you. 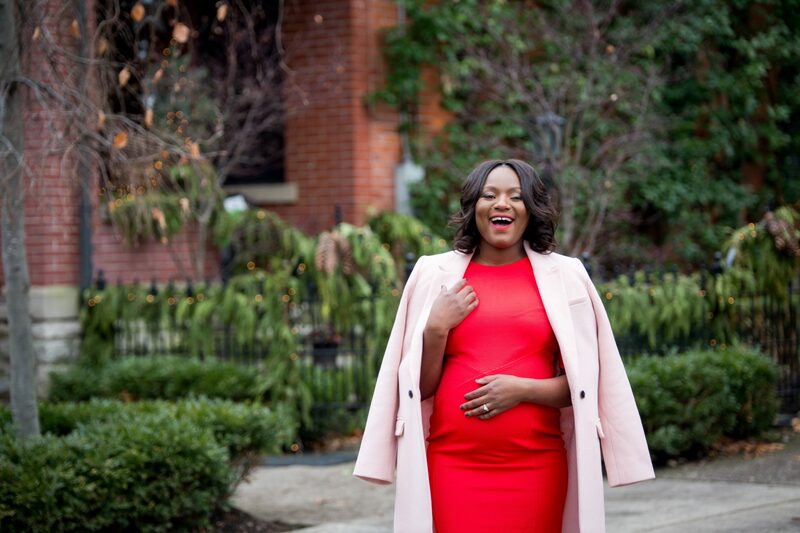 There are so many other features to Coschedule that I do not even use since I am a one woman one show. The Coschedule blog is another great resource that keeps me up to date with upcoming features and how to best use the features I am already loving. 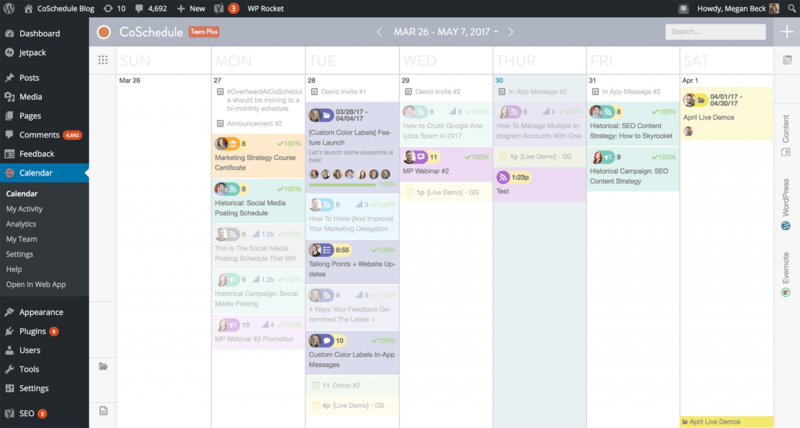 I recommend Coschedule for any blogger out there who wants to invest in an editorial calendar. You can sign up for a free 14 day trial. No credit card or commitment required. If you decide to try it, I’d love to hear what you think & how you’re using it.